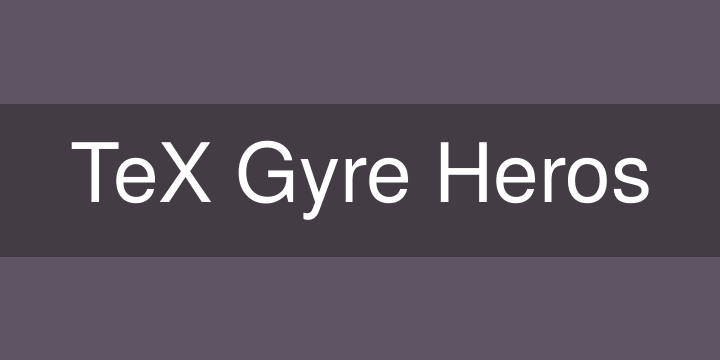 The TeX Gyre Heros family of sansserif fonts is based on the URW Nimbus Sans L family distributed with Ghostscript. The original font, Helvetica, was designed in 1957 by Max Miedinger in cooperation with Eduard Hoffman at the Haas type foundry. The constituent 8 faces (4 standard and 4 condensed) contain nearly 1250 glyphs each.